Ugo Ravanelli, the Managing Director of the organizer, the Italian Exhibition Group, said that sustainable creativity is no longer a trend but the direction in which the whole sector is heading. 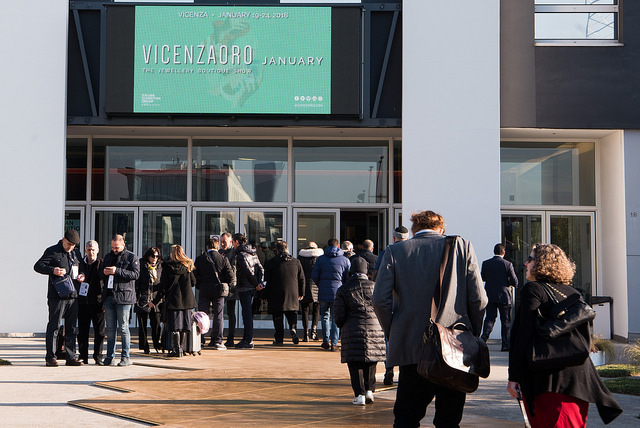 “At Vicenzaoro, we will be dealing with the theme in all its aspects and throughout the production chain, in line with the aim of our show which is one-of-a-kind in Europe in regards to jewelry." “Ivana Ciabatti, President of Italian industry body, Confindustria Federorafi, said the main challenges that the jewelry sector in the country needs to face included promoting the communication of Italy's jewelry identity, and systematizing and strengthening training and digital activities. The 'sustainable creativity' theme was introduced and developed during an inaugural panel talk. A Nielsen study entitled “The sustainability Imperative”, shows that brands that demonstrated a commitment towards sustainability grew by more than 4%, while those that did not, grew by less than 1%, the organizers said. Furthermore, 66% of consumers are willing to pay more for products made by companies that demonstrate social and environmental commitment, in particular, 51% of consumers between the age of 50 and 64. The organizers of the January 18-23 show said the theme of 'sustainable creativity' was selected since sustainability is becoming more topical and because the IEG has signed an agreement with UN Global Compact to strengthen its corporate social responsibility efforts. "The guiding principle of the show that kicks off the global jewelry year, is upholding its commitment to promote sustainability within the entire jewelry, metal, and precious stone production chain."